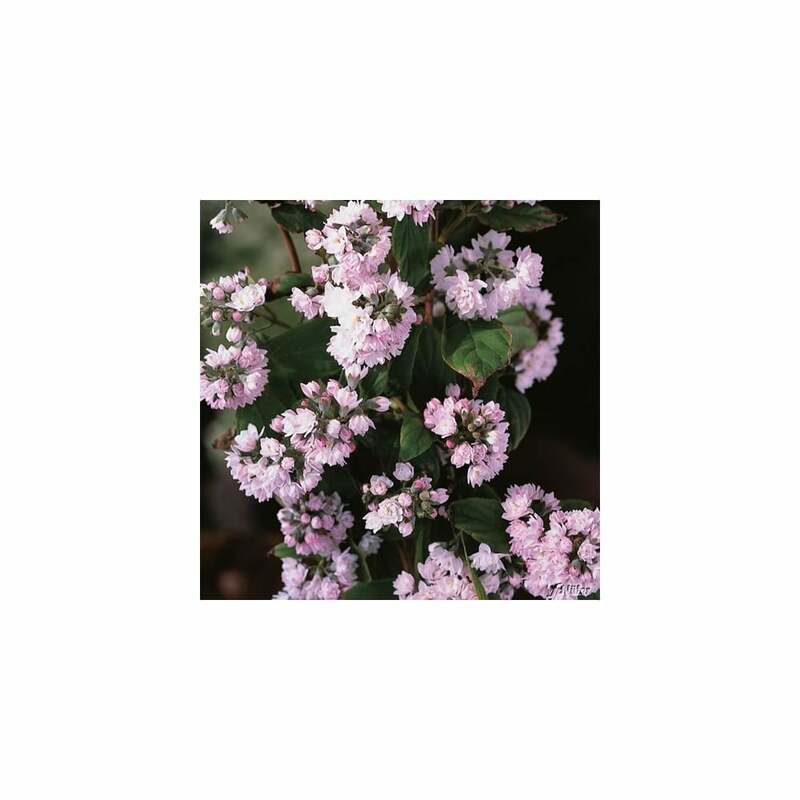 Characteristics: A compact and hardy shrub with beautiful clusters of pink flowers. Growth & Spread: A medium rate grower, it can reach heights of up to 1.5 to 2 m and a spread of 0.9 to 1.3 m in the span of 10 years or less. Water & Maintenance: Water until established. It is a hardy variety which will need little to no maintenance. The “Pink Pom Pom” is a wonderful, hardy shrub which blooms bundles of flowers at the end of its branches. It prefers sun and partially shaded areas. It does best in fertile and well-draining soils. After flowering, older stems should be pruned to the base, removing about every one of three of these older branches. In addition to being a hardy variety that survives harsh winter conditions, it also is drought-resistant. It makes a nice addition to rock gardens or other areas where you have drought tolerant plants. The flowers are beautiful and look like groups of wild, little “pom poms” all over the ends of the branches. The beautiful pink-hued blooms attract a number of pollinators, including bees, butterflies and birds. The leaves are an elongated blade shape that vary from a light green with hints of lime or yellow during the primary growing season. In the autumn, the leaves can turn to a beautiful red color before falling off in preparation for winter. As it is a more compact shrub, it works well in urban gardens and landscaping.